Satisfy your inner culture vulture at National Air and Space Museum and National Gallery of Art. Your inner history buff will appreciate Washington National Cathedral and Tomb of the Unknowns. There's much more to do: take an in-depth tour of United States Holocaust Memorial Museum, contemplate the waterfront views at Tidal Basin, pause for some photo ops at Vietnam Veterans Memorial, and see the interesting displays at The National Archives Museum. To find reviews, more things to do, traveler tips, and more tourist information, go to the Washington DC online trip maker . Plattsburgh to Washington DC is an approximately 8.5-hour car ride. You can also fly. Expect somewhat warmer temperatures when traveling from Plattsburgh in May; daily highs in Washington DC reach 76°F and lows reach 58°F. Finish your sightseeing early on the 20th (Mon) to allow enough time to travel to New Orleans. Kick off your visit on the 21st (Tue): see the interesting displays at Audubon Butterfly Garden and Insectarium, then brush up on your military savvy at The National WWII Museum, and then take a stroll through Garden District. Get ready for a full day of sightseeing on the next day: explore the different monuments and memorials at St. Louis Cemetery No. 1, appreciate the extensive heritage of French Quarter, look for gifts at Faulkner House Books, then take in the spiritual surroundings of St. Louis Cathedral, and finally don't miss a visit to Jackson Square. To find more things to do, other places to visit, reviews, and other tourist information, read our New Orleans trip planner . Getting from Washington DC to New Orleans by flight takes about 5 hours. Other options: do a combination of train and flight; or drive. The time zone changes from Eastern Standard Time to Central Standard Time, which is usually a -1 hour difference. Expect slightly colder weather when traveling from Washington DC in May: highs in New Orleans hover around 70°F, while lows dip to 70°F. Finish up your sightseeing early on the 22nd (Wed) so you can travel to Grand Canyon National Park. Get some cultural insight at Kolb Studio and Hermit's Rest. Step out of the city life by going to Rim Trail and South Kaibab Trail. On the 24th (Fri), hike the day away at Bright Angel Trail. Next up on the itinerary: take in breathtaking views at Grand Canyon South Rim, stroll through North Kaibab Trail, and get great views at Grandview Point. For reviews, photos, and more tourist information, read our Grand Canyon National Park trip planner . You can do a combination of flight and bus from New Orleans to Grand Canyon National Park in 10.5 hours. Other options are to do a combination of flight and shuttle; or drive. You'll gain 1 hour traveling from New Orleans to Grand Canyon National Park due to the time zone difference. Expect much colder evenings in Grand Canyon National Park when traveling from New Orleans in May, with lows around 33°F. Finish your sightseeing early on the 26th (Sun) so you can travel to Las Vegas. On the 27th (Mon), examine the collection at The Neon Museum, then buy something for everyone on your list at The Grand Canal Shoppes at The Venetian, and then explore the stunning scenery at Red Rock Canyon National Conservation Area. Here are some ideas for day two: see the interesting displays at The Mob Museum, shop like a local with The Strip, and then admire the local landmark of Bellagio Fountains. You can do a combination of flight and car from Grand Canyon National Park to Las Vegas in 4.5 hours. Alternatively, you can drive; or take a shuttle. Due to the time zone difference, you'll gain 1 hour traveling from Grand Canyon National Park to Las Vegas. Expect somewhat warmer weather when traveling from Grand Canyon National Park in May: highs in Las Vegas hover around 87°F, while lows dip to 64°F. Finish your sightseeing early on the 28th (Tue) so you can travel to Los Angeles. Kick off your visit on the 29th (Wed): take a leisurely stroll along Santa Monica Pier, then see the interesting displays at The Getty Center, then explore the different monuments and memorials at Hollywood Forever Cemetery, and finally look and learn at Griffith Observatory. 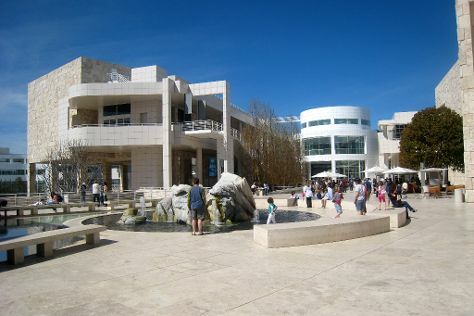 On the 30th (Thu), you'll have a packed day of sightseeing: engage your brain at La Brea Tar Pits and Museum, explore the world behind art at Los Angeles County Museum of Art, then get a new perspective on nature at Natural History Museum of Los Angeles County, and finally explore the world behind art at The Museum of Contemporary Art. For photos and more tourist information, read our Los Angeles trip planner . Getting from Las Vegas to Los Angeles by flight takes about 4 hours. Other options: drive; or take a bus. Traveling from Las Vegas in May, expect Los Angeles to be a bit cooler, temps between 75°F and 59°F. 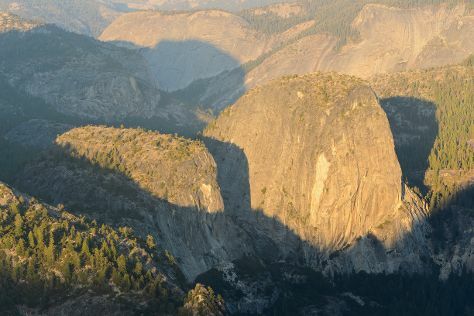 Cap off your sightseeing on the 30th (Thu) early enough to travel to Yosemite National Park. Get a sense of the local culture at Big Trees Lodge, National Historic Landmark and Yosemite Museum Gallery. Step out of the city life by going to Glacier Point and Bridalveil Fall. Spend the 1st (Sat) exploring nature at Elizabeth Lake, Yosemite National Park. There's still lots to do: admire the sheer force of Vernal Fall, make a trip to Yosemite Conservation Heritage Center, trek along Panorama Trail, and pause for some serene contemplation at Yosemite Valley Chapel. To see photos, maps, more things to do, and tourist information, use the Yosemite National Park trip planner . You can do a combination of flight and car from Los Angeles to Yosemite National Park in 4.5 hours. Alternatively, you can drive; or do a combination of flight and bus. Traveling from Los Angeles in May, you will find days in Yosemite National Park are little chillier (65°F), and nights are much colder (34°F). Cap off your sightseeing on the 3rd (Mon) early enough to go by car to San Francisco. Exploratorium and Musee Mecanique will appeal to museum buffs. Give yourself a bit of retail therapy at Ferry Building Marketplace and City Lights Booksellers. And it doesn't end there: step off the mainland to explore Alcatraz Island, snap pictures at Golden Gate Bridge, contemplate the long history of SS Jeremiah O'Brien, and take in the awesome beauty at Twin Peaks. You can drive from Yosemite National Park to San Francisco in 4 hours. Alternatively, you can do a combination of car and flight; or do a combination of bus and flight. Traveling from Yosemite National Park in June, you will find days in San Francisco are little chillier (71°F), and nights are a bit warmer (55°F). Finish up your sightseeing early on the 6th (Thu) so you can travel to Seattle. On the 7th (Fri), see the interesting displays at The Museum of Flight, get a taste of the local shopping with Pike Place Market, then explore the world behind art at Chihuly Garden and Glass, and finally look for gifts at Elliott Bay Book Company. For other places to visit, more things to do, ratings, and more tourist information, use the Seattle online tour itinerary planner . Traveling by flight from San Francisco to Seattle takes 4.5 hours. Alternatively, you can do a combination of train and flight; or drive. In June, plan for daily highs up to 74°F, and evening lows to 57°F. Finish your sightseeing early on the 7th (Fri) so you can travel to Yellowstone National Park. 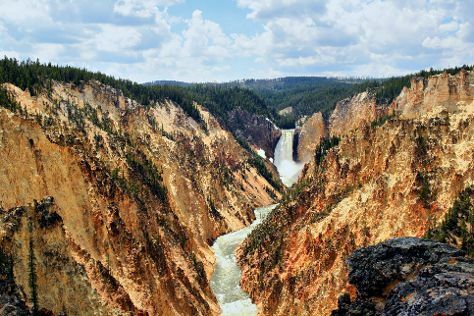 Get outdoors at Grand Canyon of the Yellowstone and Yellowstone National Park. On the 9th (Sun), dedicate a day to the elevated beauty of Mount Washburn. Spend the 10th (Mon) exploring nature at Fairy Falls. There's still lots to do: take in the natural beauty of Old Faithful and hike along Artist Point. To find traveler tips, other places to visit, maps, and other tourist information, read our Yellowstone National Park holiday maker tool . Do a combination of flight and car from Seattle to Yellowstone National Park in 5.5 hours. Alternatively, you can do a combination of flight, shuttle, and bus; or drive. You'll lose 1 hour traveling from Seattle to Yellowstone National Park due to the time zone difference. Traveling from Seattle in June, expect nights in Yellowstone National Park to be colder, around 34°F, while days are slightly colder, around 66°F. Cap off your sightseeing on the 11th (Tue) early enough to travel to New York City. Your cultural itinerary includes sights like The Metropolitan Museum of Art and 9/11 Memorial. Get some historical perspective at Ellis Island and St. Paul's Chapel. Next up on the itinerary: take in the pleasant sights at Central Park, examine the collection at New York Public Library, explore the world behind art at The Museum of Modern Art (MoMA), and enjoy breathtaking views from Empire State Building. You can do a combination of car, flight, and bus from Yellowstone National Park to New York City in 9 hours. Alternatively, you can do a combination of bus, shuttle, and flight; or drive. The time zone difference moving from Mountain Standard Time to Eastern Standard Time is 2 hours. Traveling from Yellowstone National Park in June, you will find days in New York City are a bit warmer (80°F), and nights are much warmer (65°F). Wrap up your sightseeing on the 15th (Sat) to allow time to travel back home.